Honestly delicious. Great taste 2014. 1st prize for taste. 1 of your 5 a day per 300g. No added sugar - contains naturally occurring sugars. I'm gluten free. Vegetarian. 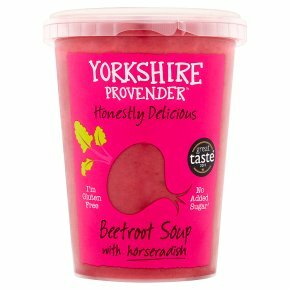 Sweet beetroot and parsnips are lifted with a gentle horseradish kick to make this soup best in class.